I am so deep in holiday dessert prep that mind is completely spinning over the endless supply of adorable and chic desserts floating down my social media feeds. With so much literal eye candy I began saving my favorites, hoping that I could siphon some of the adorable vibes from the creators across the web. I’d love to share some of my favorites with all of you! Nothing crazy fancy or showstopping, just perfectly warm and cuddly cake bites. These are all designs that you can (and should) try at home! If you find yourself itching to try some of the recipes, all of the webpages are linked by clicking on the photograph! One click will take you down a wondrous holiday rabbit hole of holiday cheer. 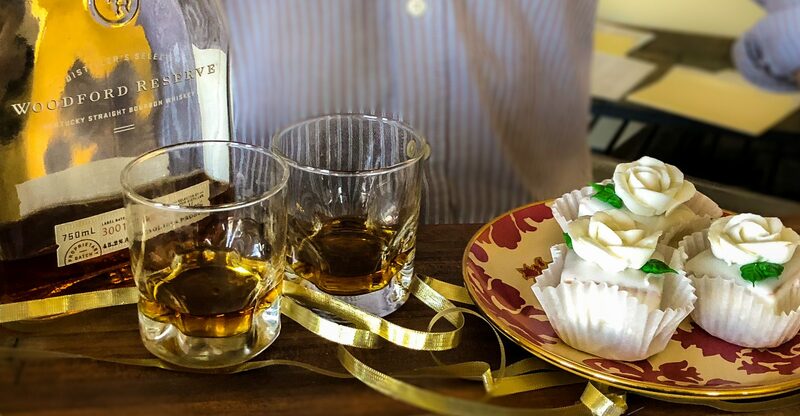 Or, if you’re in the mood for a delicious dessert but want to skip the work, swing by your local grocery and pick up some ready-to-go petit fours. All of the holiday designs should juuuust be making their way to the bakery case! 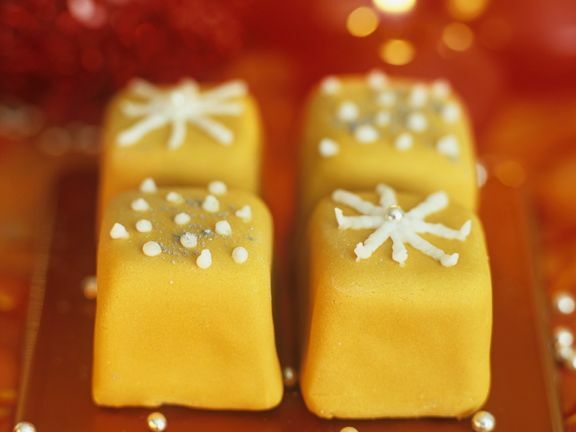 These beautiful gold bites sing of Christmas cheer without the standard red and green color combo to which we’ve grown overly accustomed. Something about this warm design, with it’s simple snowflake topping and dusting of silver, is truly wonderfully festive and elegant. 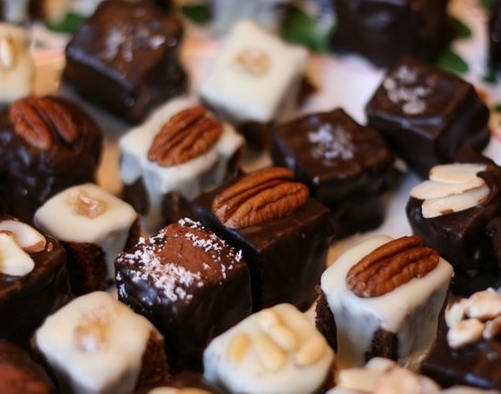 I am just nutty for these simple and rustic petit fours. With large flakes of maldon salt and perfectly earthy toasted pecans, these little bites are sure to be packed with mouthwatering flavor. When it comes to Christmas, tradition reigns supreme. 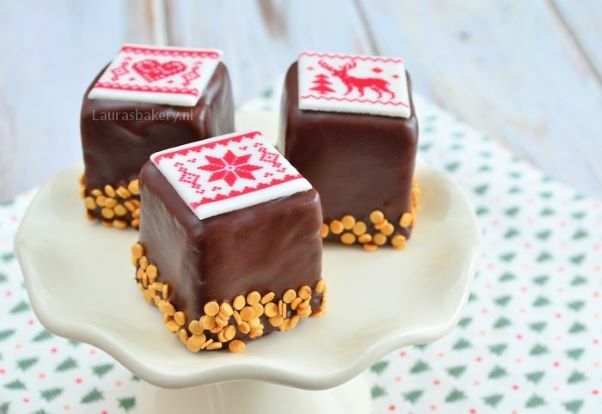 These precious petit fours absolutely inspire a holly jolly holiday. My heart always warms at the sight of truly freehand desserts. Literally any person can make these and it only increases my need to try them! 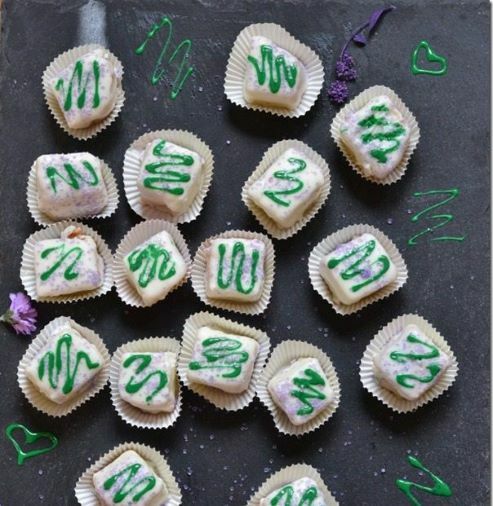 The crazy green drizzle and cutesy sprinkles bring Christmas petit fours right to your kitchen counter. Our cover model! I won’t joke, yall. These two guys in the foreground are not easy-to-do petit fours, but if you look past the intimidating pair in the front, you’ll see some super simple sugar snowflakes. 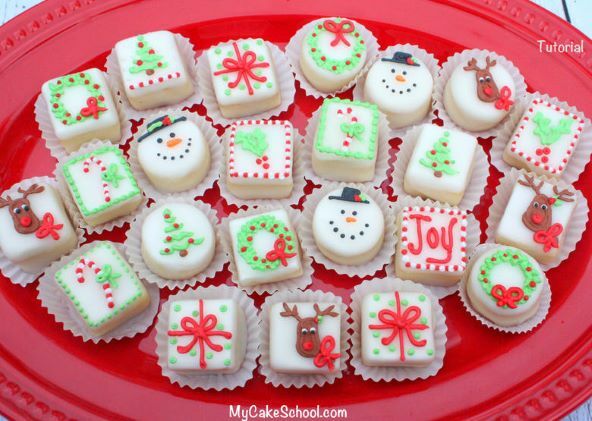 Those gorgeous little decorations can be purchased at any baking supply store (like your local Michael’s) This array highlights the wonderful thing about petit fours: they can be as complicated or as clean as fits your style!